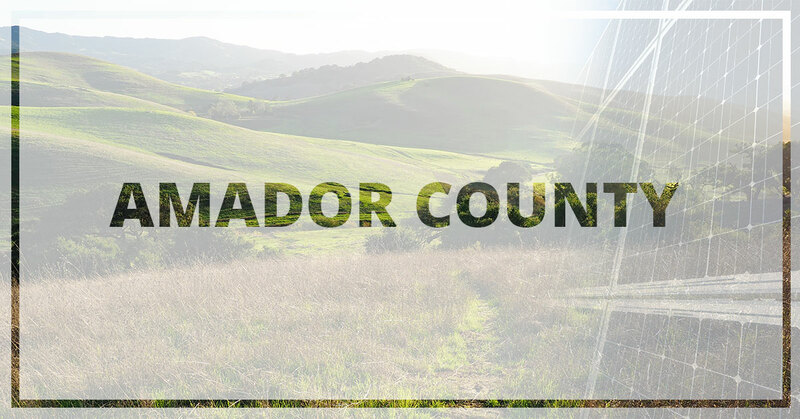 Amador County Solar Panel Installation - Contact Us Today | West Coast Solar, Inc.
With the average household emitting around 20 metric tons of carbon pollution every year, and buildings accounting for 35 percent of all carbon emission in the U.S., we need to do something. How can we do our part to clean up the environment? The answer is solar power. While the environment is a huge concern, it isn’t the only reason our clients make the switch from traditional power sources to solar. In fact, many people are looking for a solid investment that can save them thousands in the long. Did you know that there is a federal tax credit available for those who install a solar array before 2021? This isn’t your typical write-off; it’s actually a dollar-for-dollar reduction in the federal taxes you owe, and it all comes from your solar energy installation costs. That includes labor, project preparation, system equipment, and any additional components. If you are still concerned about this cost, we offer additional financing to make the decision easy. Call to see what we can do for you. There is little more frustrating than the fluctuating prices of our electricity here in Amador County. But what if you didn’t have to worry about it anymore? With a solar panel system on your home or business, you could generate enough power to sustain your facility entirely. That means no more electricity bills. While you’re pursuing better, cleaner energy through a solar panel investment you can help the public utility company do the same by selling them your excess solar power. With a little more planning you can start to help members in your community access cleaner energy by providing units of clean energy that you’ve produced back to the grid to be used in the surrounding area. Thus, the utility company will produce less energy through other means and the demand for less green-friendly energy solutions will drop. Of course, the added bonus is the money the utility company will pay you for the units you’ve generated and sold back to them. Most property owners find fulfillment in knowing that their homes are responsible for generating clean, renewable energy. By harnessing the power of the sun and choosing a renewable resource, they become more independent. No more reliance on foreign sources of energy—including the pollution that comes with it. If you are ready to experience this for yourself, it’s time to contact West Coast Solar!